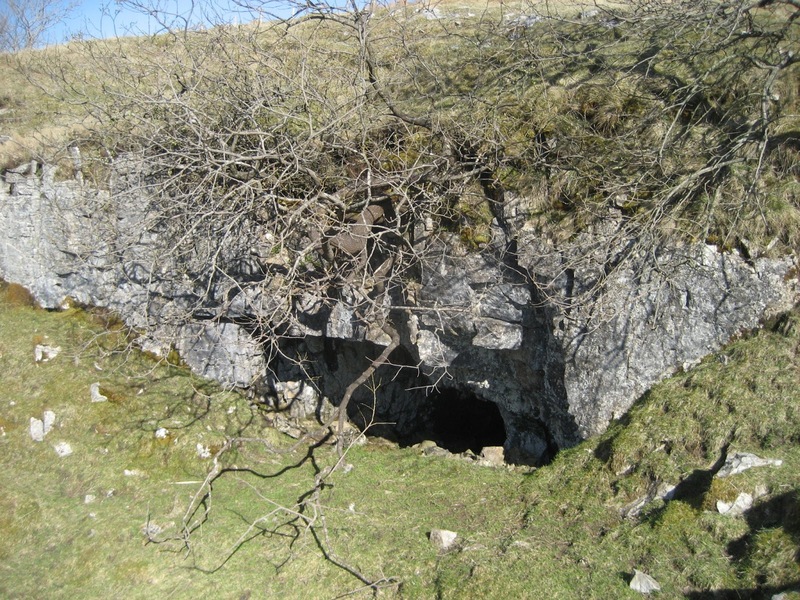 In contrast to the many deep potholes and shafts surrounding the Ingleborough massif, where the Great Scar Limestone is scores of metres thick, at Ribblehead the caves are formed in shallower limestone; often sinking in the Hawes and Hardraw Scar Limestone of the Yoredale Series before meeting the more substantial Great Scar Limestone underground. 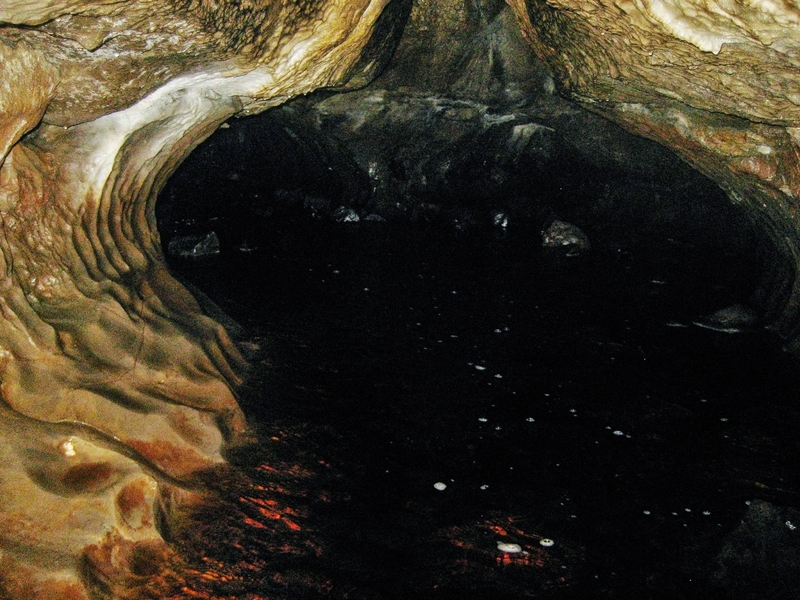 The caves are shallow for a number of reasons. Here there is a comparatively low surface relief compared to elsewhere around Ingleborough, the horizontal shale beds are well defined – and there is a lack of small faults and joints to encourage deeper entrenchment. Between drumlins to the east of Batty Moss are some of the best known examples. 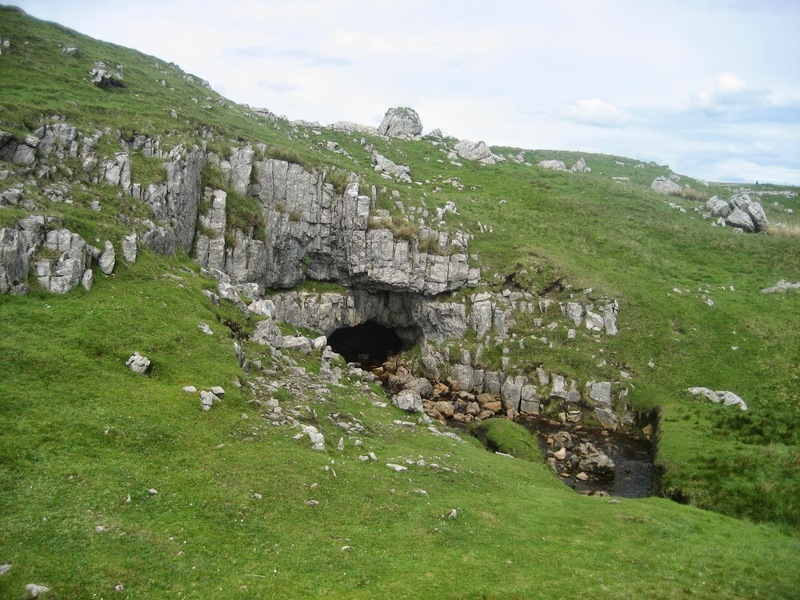 Cuddy Gill Cave, on the very edge of the Yoredale/Great Scar Limestone boundary – links via Scartop Cave to Runscar Cave (SD765797), with its impressive vadose stream-way meandering beneath a single bedding plane roof. 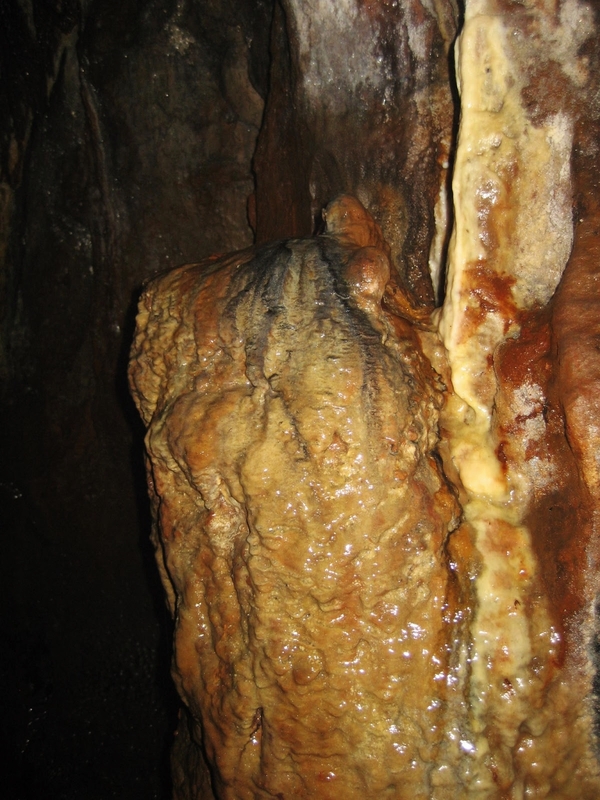 In flood conditions some of the water enters the mostly abandoned Thistle Cave, which can be explored through three main sections, the lowest being a tight crawl into a bedding plane leading to a superbly decorated passage (SD764797). 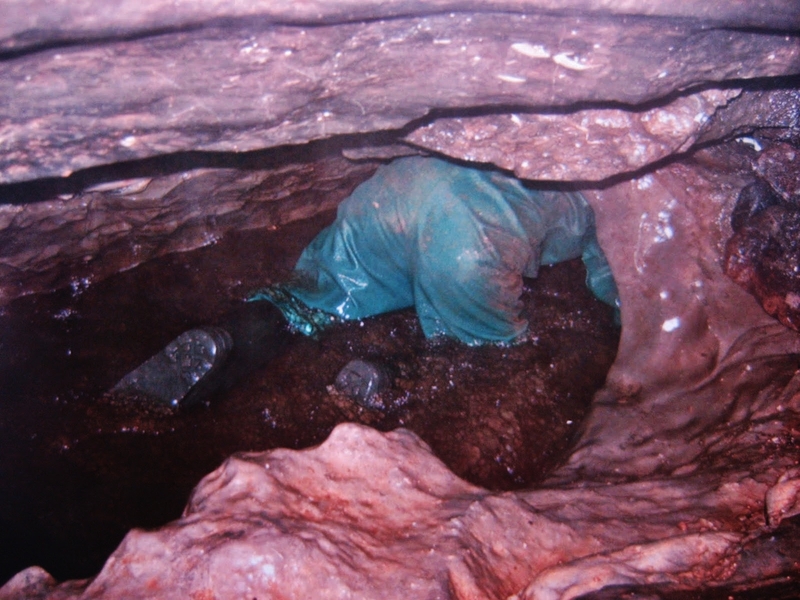 Slightly to the west, Roger Kirk Cave (SD761796) meanders in several sections southwards, with the amusing ‘tube’ providing great fun for cavers, who must tackle it on their back with nose to the ceiling! 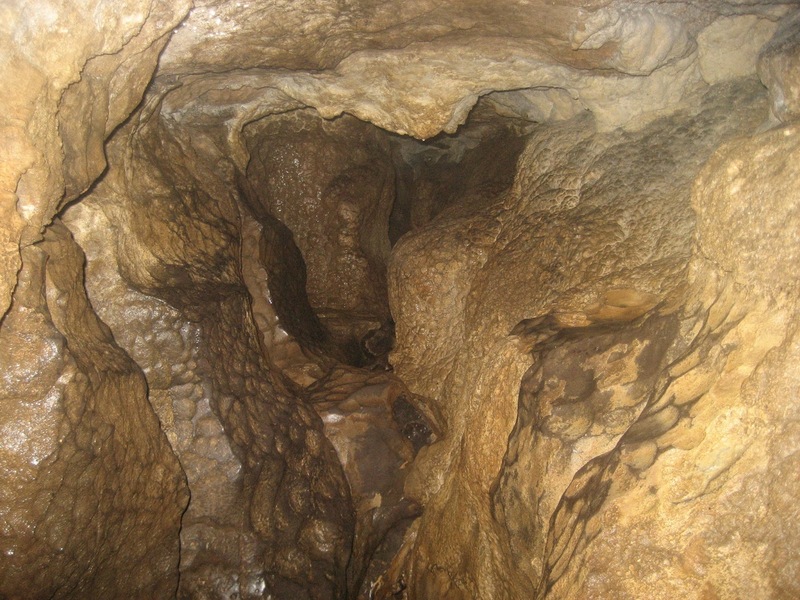 Though these are shallow passages, many looping oxbows at higher level, particularly in Thistle Cave, indicate a pre-Devensian age for at least some of the passages. 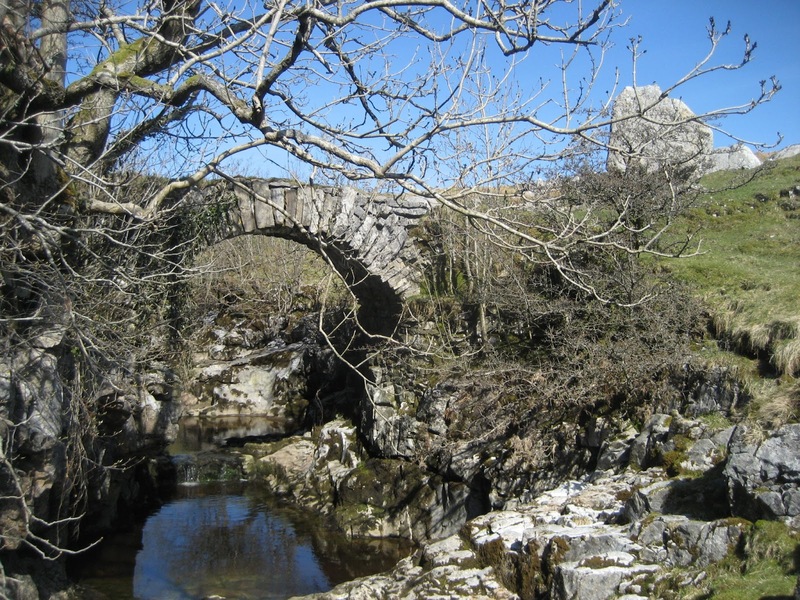 Undiscovered links at lower level, from such extensive drainage, are also likely to both the God’s Bridge and Turn Dub risings in Chapel-le-Dale and Ribblesdale, though no dye tests have yet proven this. 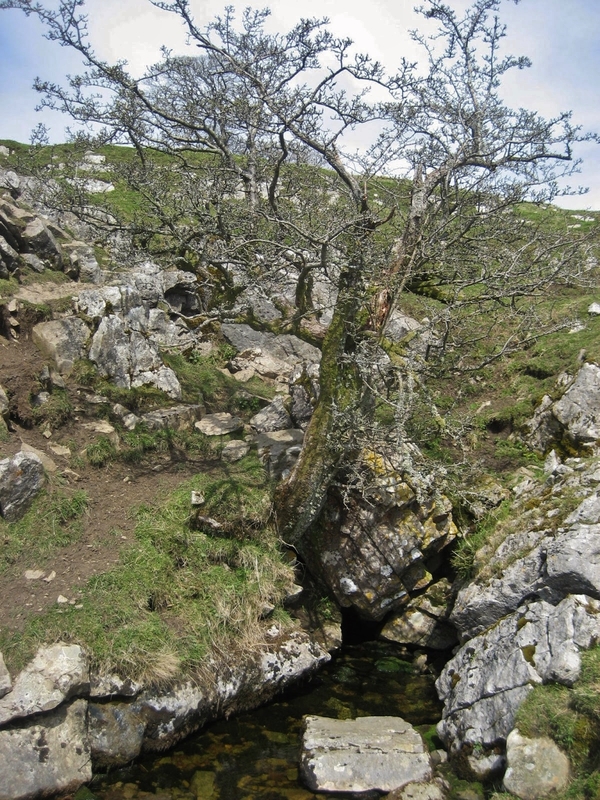 The small gorge of Thorns Gill, to the south of the B6255, carries the waters of Gayle Beck – part of the infant Ribble – and at various points some of this water is carried underground. 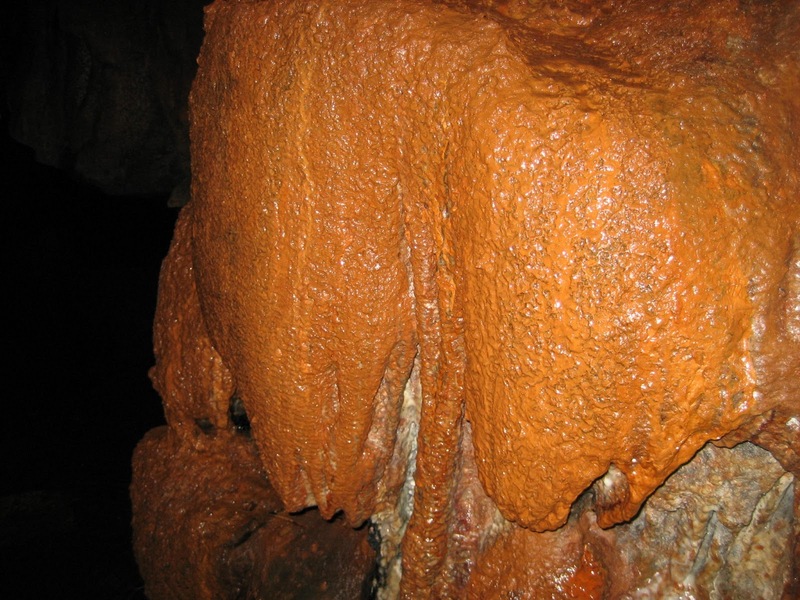 Above the gorge, the water enters Katnot Cave (SD780797), cutting a superb vadose stream-way beneath a bedding plane ceiling, where red ochre deposits and flowstone features are prominent. 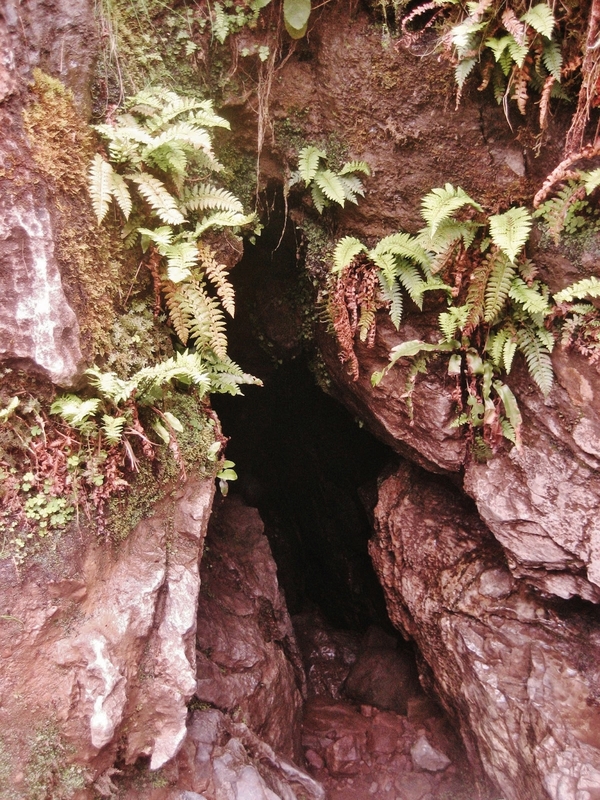 Further down the gorge, part of the water is swallowed by the impressive Thorns Gill Cave (SD778795), which is often seen choked by branches and other flood debris. 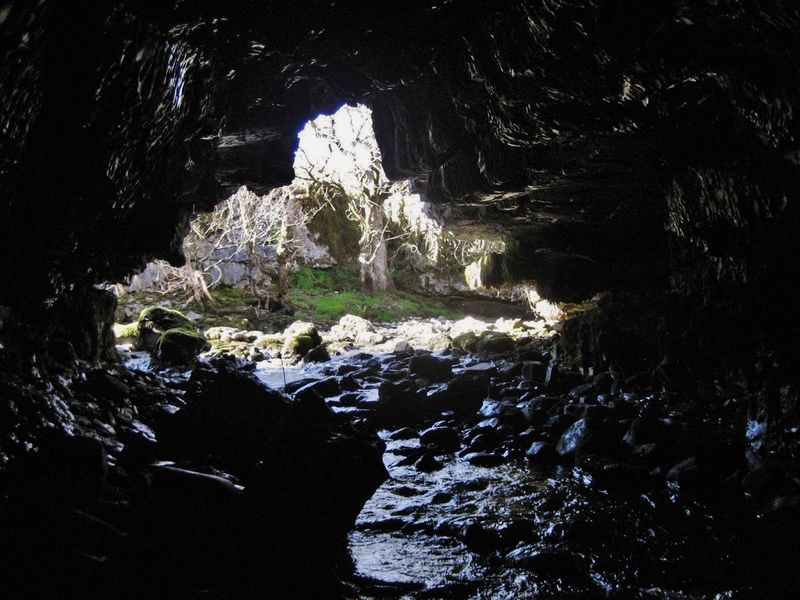 This dramatic and very active cave eventually emerges at Thorns Dub Hole (SD777793) – though after about 200 metres the passages are totally flooded and blocked by debris. 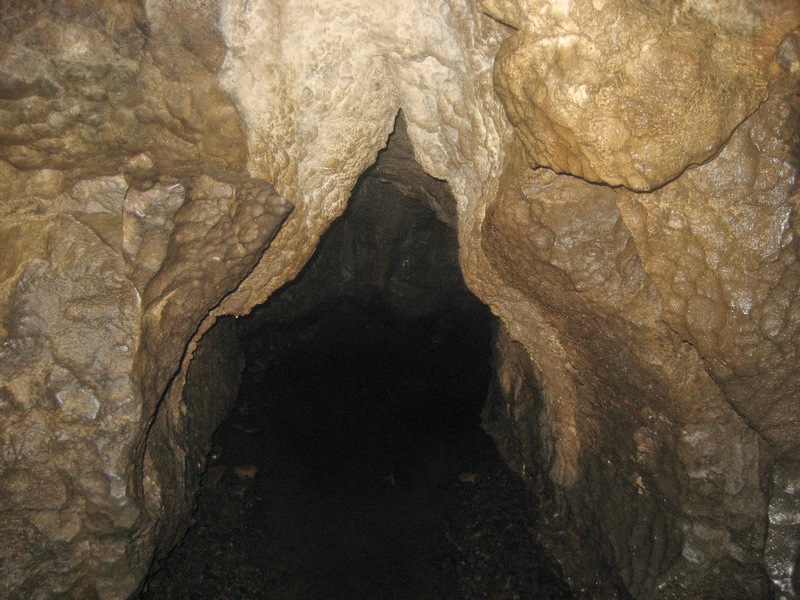 At the opposite side of the gill, and about half a kilometre further upstream, Holme Hill Cave brings a tributary into Gayle Beck. 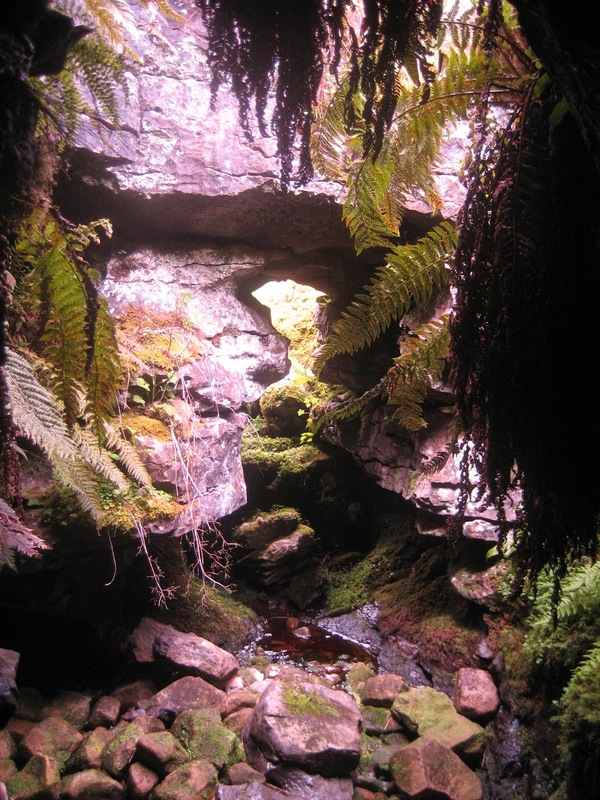 The cave was once on show to the public and remains of an iron gate can be seen just inside. It contains a fine stream passage until becoming too low for comfort.